This look amazing. I am drooling onto my keyboard as I write this. It probably doesn’t help that I’ve set up shop today in a pastry shop and can smell the baking. Thanks for sharing. This may be Christmas morning breakfast! Sitting in a puddle of drool because I could eat five of those right now! YUM! These are so, so impressive. Well done, Jessica….you have utterly impressed me yet again!! ……and there goes my “diet” going to start making those babies right now! I do not actually have any desire to MAKE these, however I would certainly EAT these, and I live in the burgh, so if you have extra, I can help you eat them. ha ha. you don’t play fair. can’t you give a discount to a gym or something with these recipes?? come on!! How in the world have I never had a peanut butter cream filled donut?!? It’s probably b/c I’m not really a giant fan of donuts so I don’t think I frequent shops enough to know if they actually exist. I would totally tear one of these up for sure though…maybe I’ll have someone make them for me? 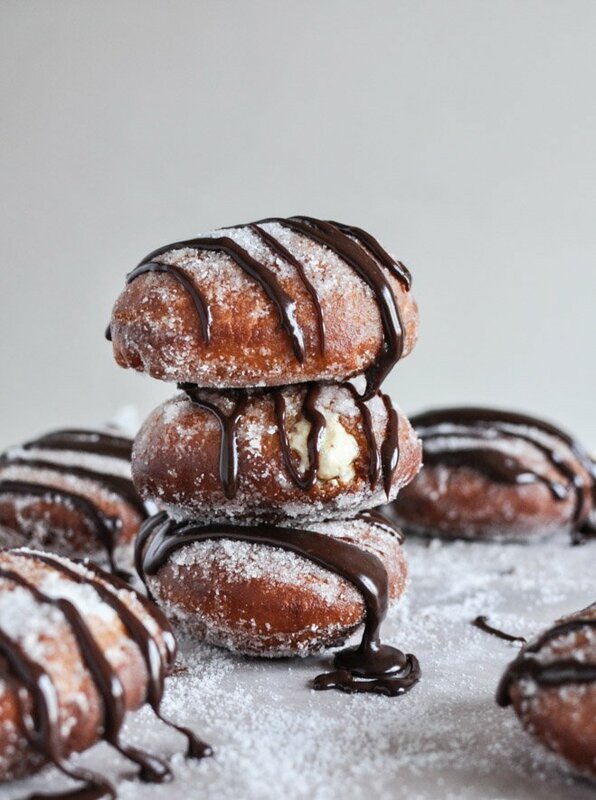 i would totally make these donuts if baking with yeast didnt intimidate me so much! I probably wont’ make these, I won’t lie. Not that the urge isn’t there but I don’t need to be eating 12 donuts in one sitting. But I do think I am going to mention to the guy at the donut shop near me that he needs to; best of both worlds for me! These are completely obscene and glorious at the same time. Is this real life? Please tell me yes. just saw these… what in the what? amazing. This is how I’m going to put on my winter fat! Right on time for Hanukkah! 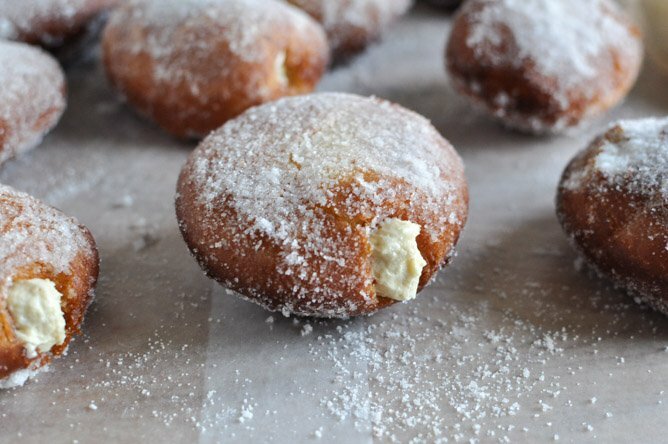 I’m making these this weekend in lieu of jelly doughnuts which don’t look nearly as delish. Thanks! oh my gaaahhhhhh how have i not made these already? it’s been almost a week! No way…these look so scrumptious! These look amazing! So scrumptious,.